If you're a devoted beauty fan, you probably know the trend of the beauty-themed April Fool's Day product. 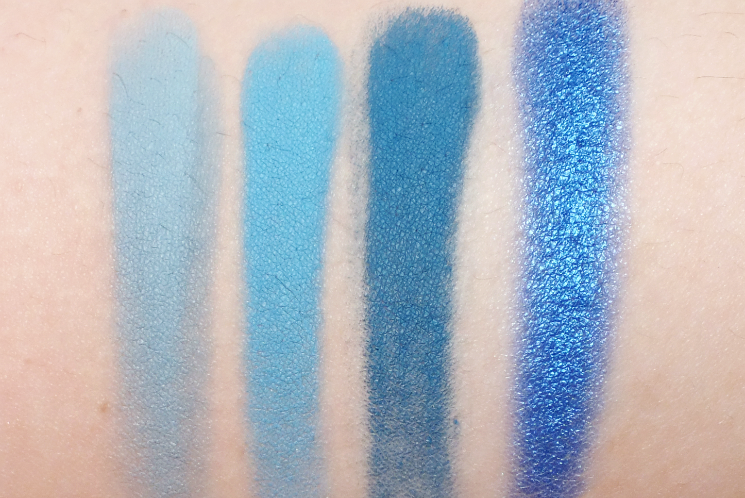 Quite a few brands take part each year, but this past April, Tarte caused a bit of a kerfuffle with their 'Icy Betch' palette. 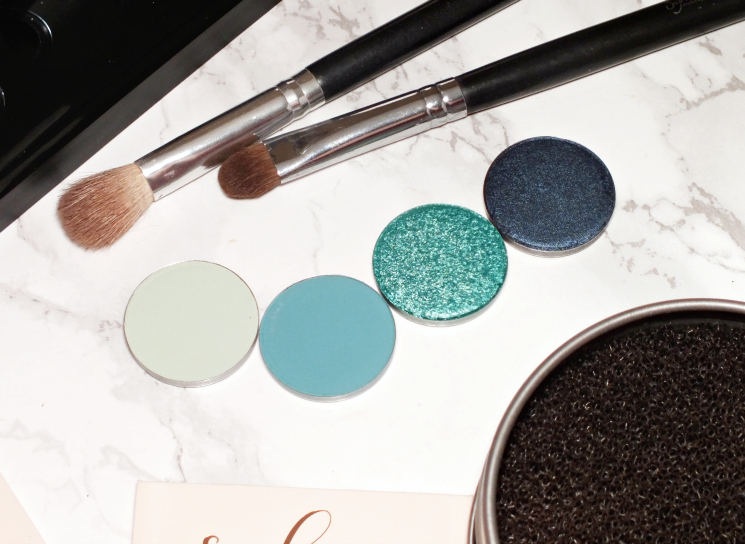 As we know, Tarte tends to stay pretty neutral when it comes to their palettes, but Icy Betch was all about gorgeous green and blue hues. 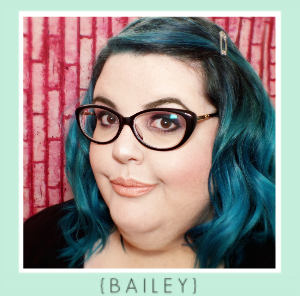 It didn't actually exist, but a lot of makeup fans wanted it to. What's a shadow fan to do? Turn to the indies. 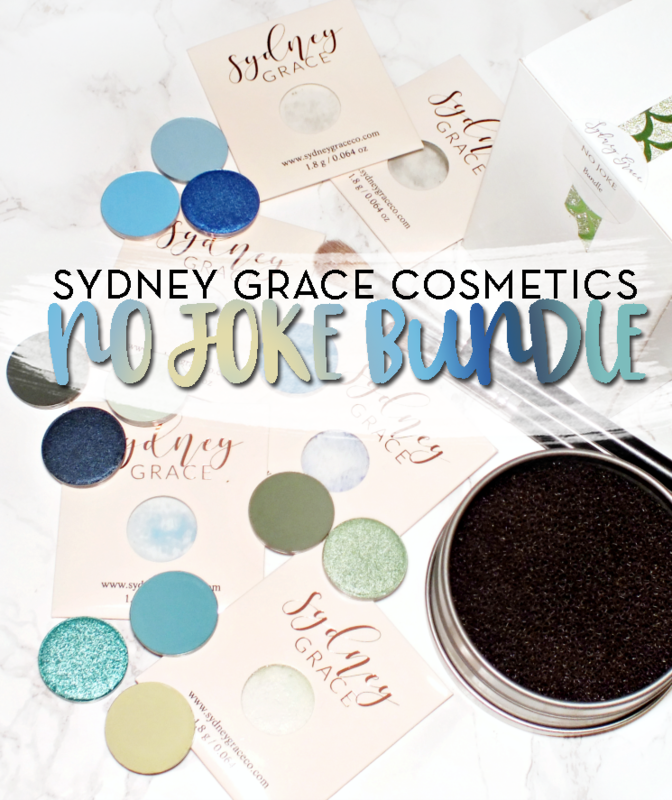 I'm not exactly sure how I came to find Sydney Grace Cosmetics, but they are one of a few indie brands to offer up alternatives to the Tarte prank palette. 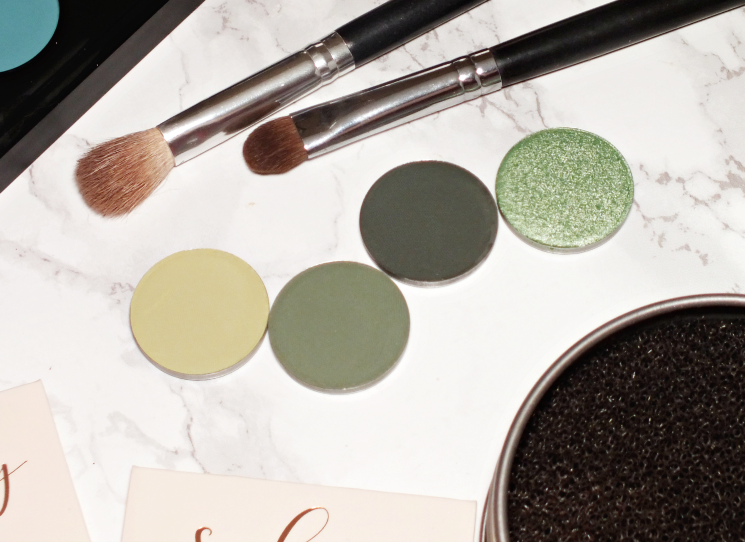 Based in California, Sydney Grace specializes in single pan shadows, but also carry glitters, pigments, highlighters and blush. The pans are a standard 26 mm pan, and as such will fit in just about any palette. 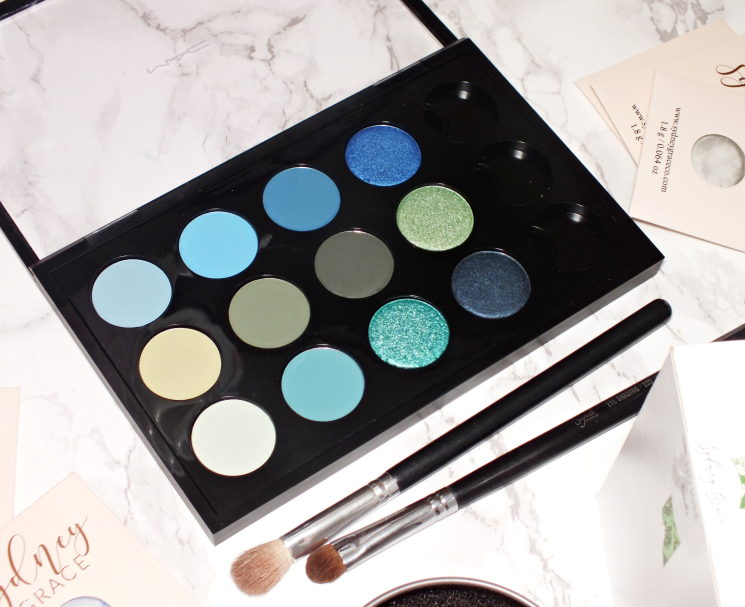 I have a stash of the old MAC palettes (with the clear lids) that are perfect for custom palettes, and offer a little extra room for added neutrals, as the bundle is all colour. Okay, so let's get to the fun stuff... The colour! I'll admit, blue shades still make me a little uneasy, but the blue offerings in this bundle work nicely with neutrals or in small doses. baby steps, right? 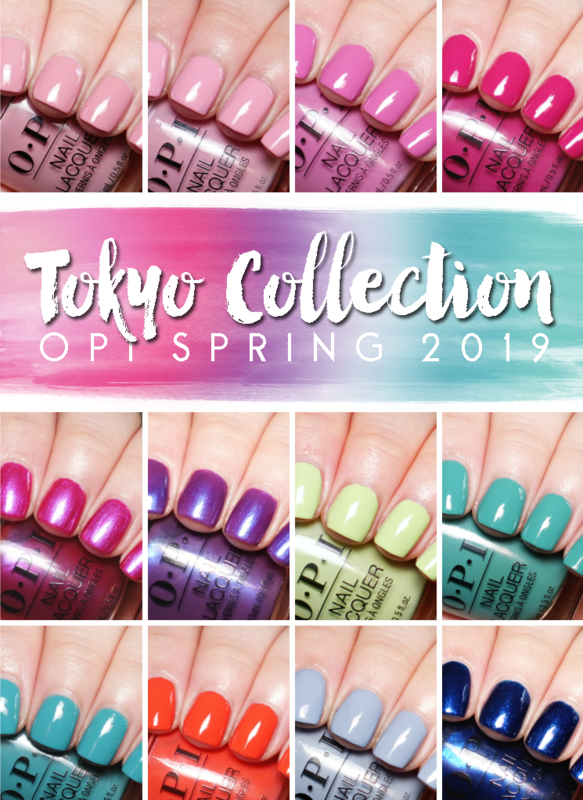 Truer green hues (compared to the last row, which we'll dive into momentarily) come into play in the bundle with some interesting shades that take on a more neutral effect when paired with blues. Sea Breeze: yellow-green matte. This shade read more yellow with one pass, and more green when built up. Sea Foam: very pale, light blue-green matte. This shade works really well as a transition / base shade. 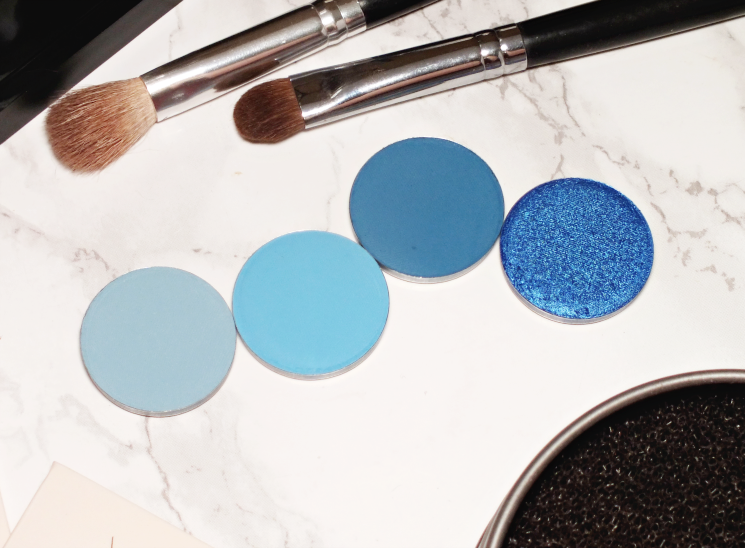 Megaldon: aqua-blue metallic shimmer with a glittery finish. Deep Water: blackened navy blue satin-shimmer. Having never used Sydney grace shadows, I wasn't exactly sure what to expect aside from gorgeous shades, but I have been SO pleased with these! 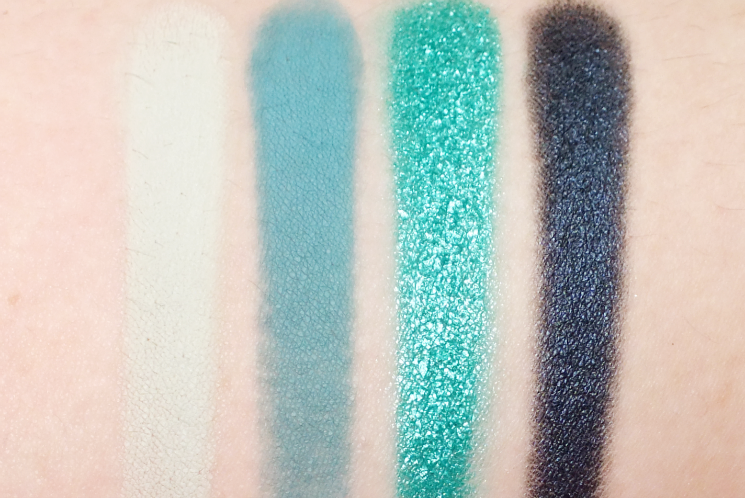 The mattes are not only intensely pigmented, but they have a silky texture that applies and blends so well. 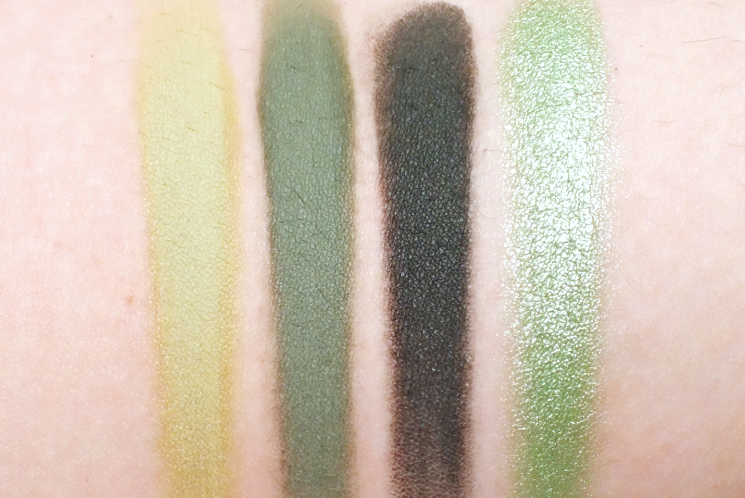 I love that the mattes easily blend, which becomes more of an issue with bolder shades, and that the shades stay really true to pan (as in they don't blend away to nothing.) 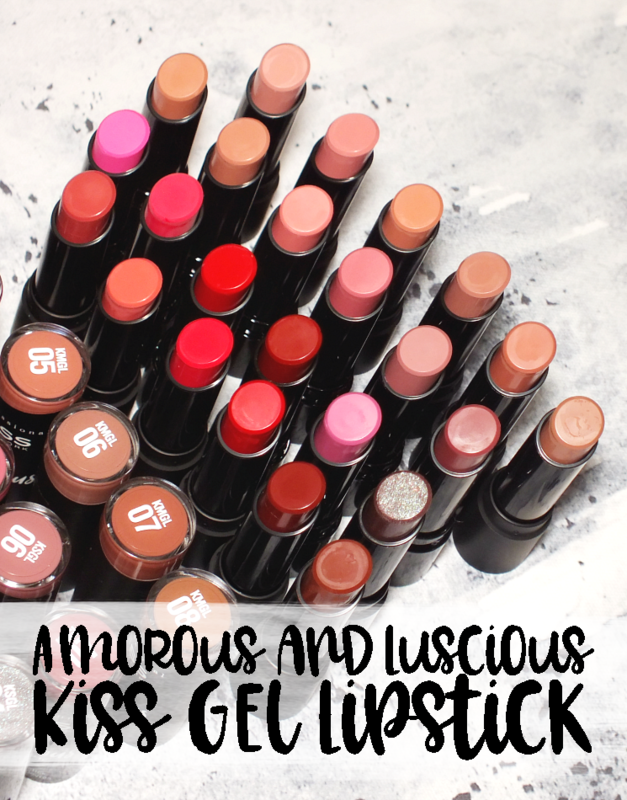 The shimmers, while also intense, are super buttery but fare better when applied with a stiffer, flat brush or finger for the most oomph. 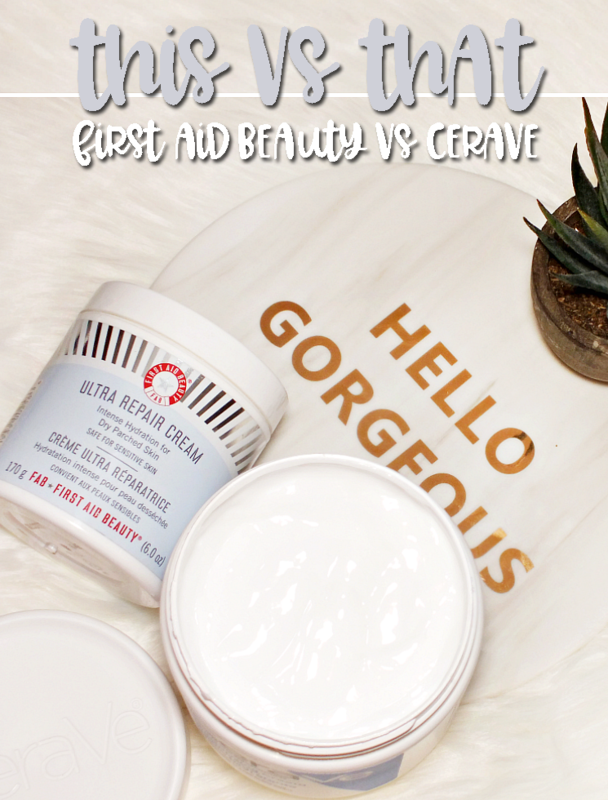 They can pack a punch, but some brushes just don't work with the formula. 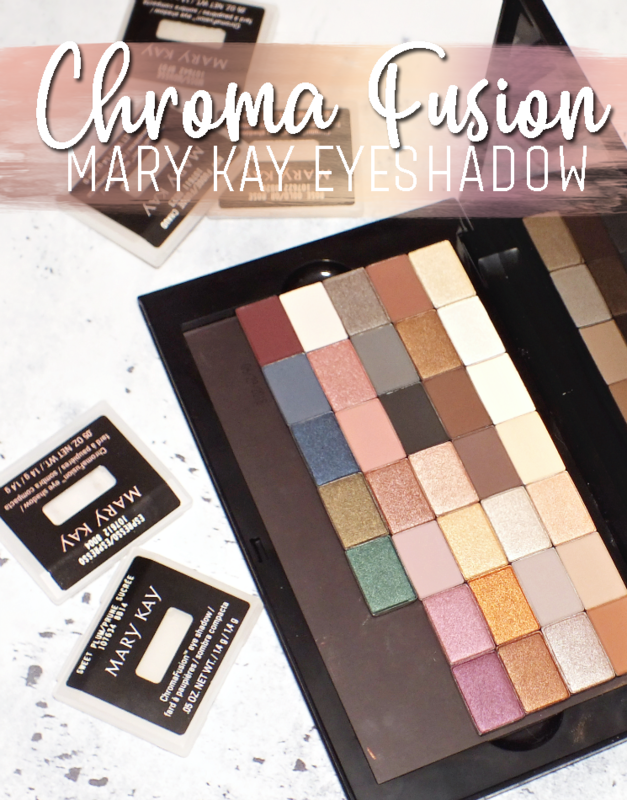 While I'm still working on ways to use all of these shades, I love the quality and won't hesitate to order from the brand again. 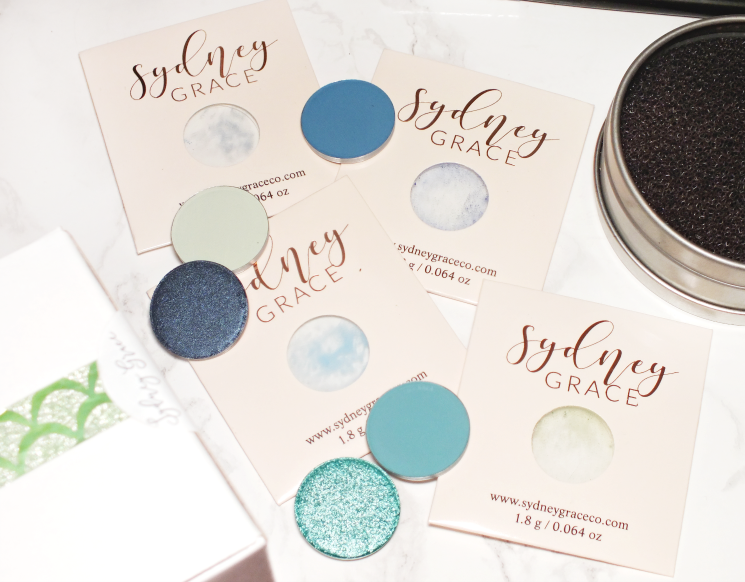 I highly suggest checking out Sydney Grace on Instagram, as they post swatches and colour combinations that make buying extra easy. I don't know about you, but I get overwhelmed with too many shade options, so seeing ideas is always helpful. What do you think? 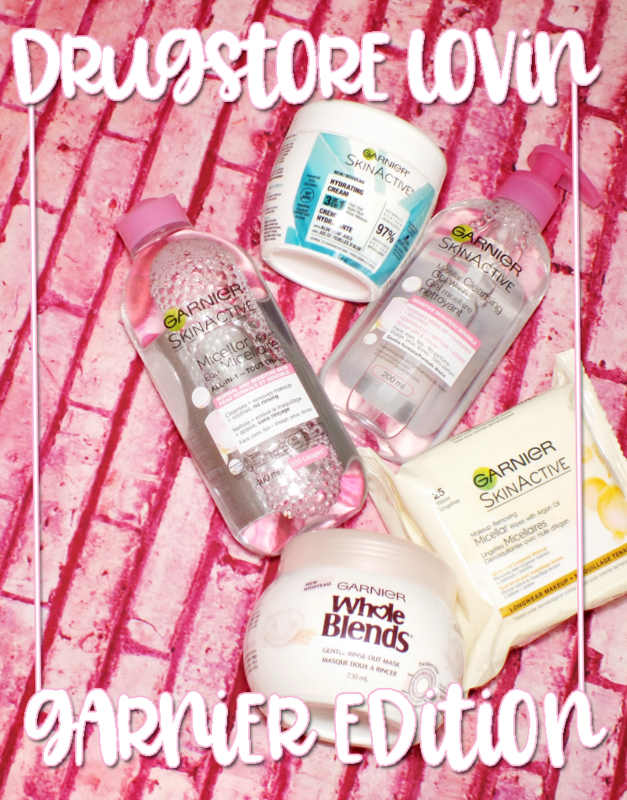 Have you tried anything from the brand? Have you stepped outside of your shade comfort zone lately?